A new month is upon us and things are gearing up over here at Infinit Canada HQ! Our new facility is almost complete and our Infinit Athletes are preparing for their summer seasons to begin. Here's a glance at things to come in March! March 2-6 - Kate O'Brien will be competing in the World Championships in London, England. March 3/4 - Greg Simone will be competing with the University of Waterloo at the OUA Volleyball Final Four weekend in Hamilton. The team is vying for a spot in the CIS Championships March 10-12. Their first game is against the nationally ranked McMaster Marauders. March 3-7 - CrossFit Open 16.2 - Infinit CrossFit athletes Brent, Jolaine, Erica, Kyle and Cindy are competing in this years CF Open! What are your predictions for the rest of the workouts? March 5 - Joanna Brown is in Clermont Florida for the Pan American Cup. March 8-13 - Team Saxton Schalk will be in Rio de Janeiro, Brazil competing in the Rio Grand Slam. March 10-12 - Virginia McLachlan will be competing in the CIS National Championships. She recently won silver at the OUA Championships this past weekend in the Women's 60m Ambulatory final. March 12 - Erika Rankin and Garrick Loewen will both be in Sarasota, Florida. Erika will be competing at the 2016 Sarasota CAMTRI Triathlon Junior North American Championships and Garrick will be participating in the Sarasota ITU North American Championships. March 12/13 - Joanna will be competing in the Pan American Sprint Championships and Pan American Relay Championships. March 15-20 - Both Team Saxton Schalk and Team Burlacu Grabovsky will compete in the Vitoria Open in Vitoria, Brazil. March 19 - Francis Luna-Grenier will be competing in the Classique Mario Parenté in Montreal, QC. March 28-April 3 - Cindy will be competing with Team Canada in the Toronto Cup at the Ryerson Centre - it is an international wheelchair basketball competition. Introducing our Newest Team Infinit Athlete - Drew Mechielsen! Drew has been involved in BMX since a young age - 3 years old to be exact. Since then, she has developed her abilities immensely and is one of the top rising stars in the sport. 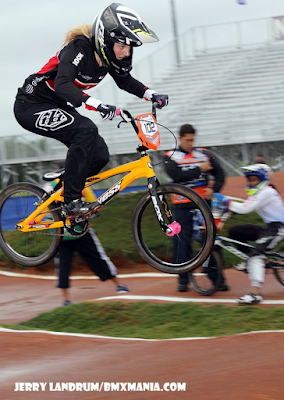 In 2014, Drew was the Junior Women's National Champion, and in 2015 she was selected to represent Canada at the UCI Supercross World Cups in Manchester, England and Papendal, Netherlands. This year will be her first season competing at the Elite level after 2 years in Junior Elite. We recently connected with Drew to hear her story - how she got involved in the sport and how the experience has been. Find her story below! "I got involved in BMX when I was just 3 years old...the local track was only a 5 minute bike ride away and my older brother went to go give it a try. When I was little I copied everything that he did, that meant giving BMX a go! From what I remember I fell in love from the start. I'm such a competitive person, I always have been. I think that's what I loved when I was little (though I was young and I can't completely remember!). Getting older in the sport it has been a crazy ride. We face so many challenges all the time, it's definitely difficult at times, yet the love for the sport never grows old. This sport is not only physically demanding, but the mental challenge is a struggle to overcome. Some days you have great races and are just so stoked about what you did and other days its the complete opposite; you have to know that anything can happen when you're in a race situation. It's hard to keep your head held high during some of the more difficult times. But BMX is such an awesome sport, the fact that my bike takes me all over the world is just unreal and the people that I've met along the way have become some of my closest friends. I'm so thankful that I gave it a try when I was a little girl, this sport is such a huge part of my life! I'm so excited to be partnered with Infinit! Not only the fact that I've been using these products for a year and absolutely love them, but also that it's a Canadian company; I love supporting and being involved with Canadian companies. It's so important for me to support companies that I really love and I can definitely say that Infinit is one of those. I'm so excited to be part of this team!" Welcome to the team, Drew! 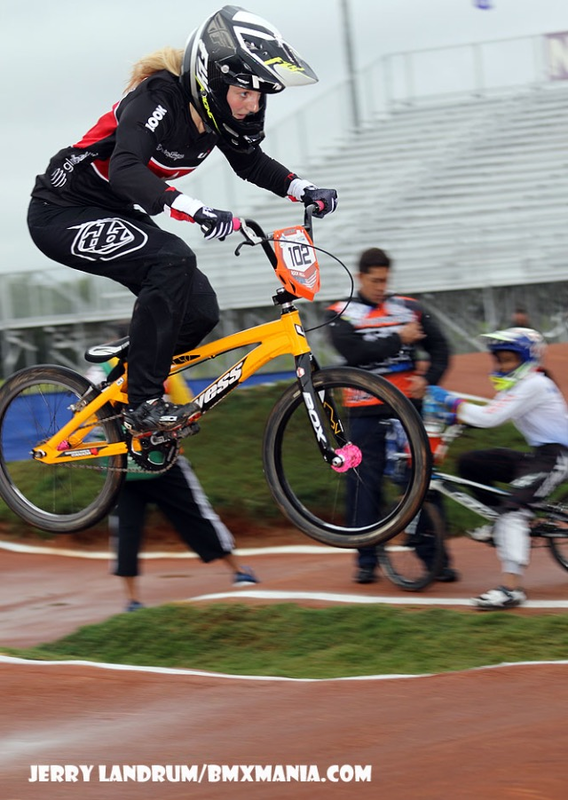 Next up she will be competing at the Argentina UCI BMX SX World Cup from March 26-28, the Manchester UCI BMX SX World Cup from April 9-11, and the Papendal UCI BMX SX World Cup from May 8-10. Welcoming Cindy Ouellet to Team Infinit! Cindy is an exceptional athlete and we are thrilled to have her be apart of Team Infinit. Currently, she is an accomplished basketball player that is also competing in competitive CrossFit contests - a pretty cool match! "First, I couldn’t be more happy to be an Infinit Nutrition Canada athlete! I love the products, which are helping me everyday for my basketball training and CrossFit pre- and post- workouts. I love what the company stands for and the fact that their blends are clean and taste great!" Cindy was always involved in sports but her goals took a turn in 2001 when she was diagnosed with Ewing Sarcoma (bone cancer). "After my cancer I did a little bit of swimming and track but really fell in love with basketball. I started playing in 2006 after my physiotherapist introduced me to the sport. Shortly after I had the chance to tryout for the Senior women's national team, and was selected to be apart of the team; I made amazing memories at the 2008 and 2012 Paralympics, and participated in the World Championships in 2010 (Bronze) and 2014 (Gold). Everytime I put on my #7 Canada jersey I realize how lucky I am to be representing Canada at major contests around the world." Along with basketball, Cindy also competes competitively in CrossFit. 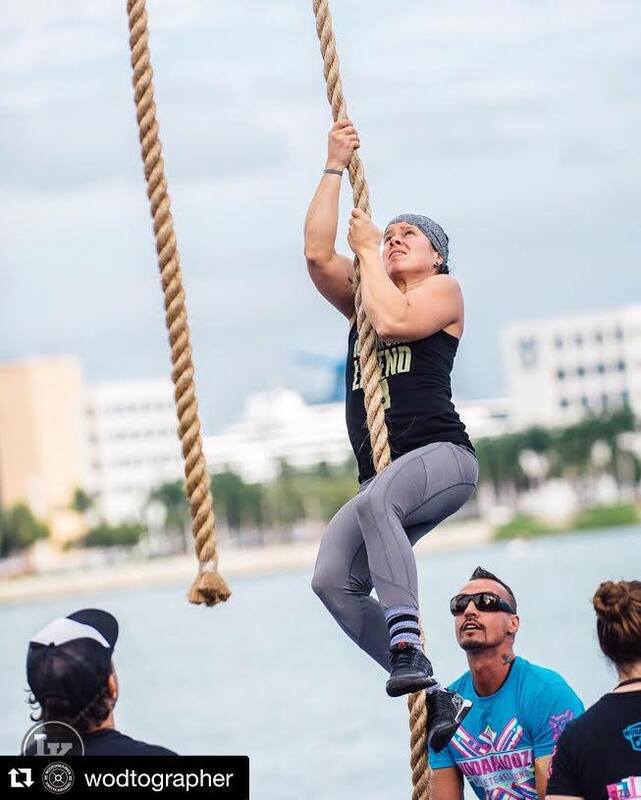 She recently captured the Wodapalooza crown in the adaptive women division AND finished first in every event. "I love challenges which is why I took on Crossfit about a year ago. I participated in the Open games in 2015 and the Wodapalooza Games this year. In a few weeks, I will be competing in my second Open which begins on the 25th of February. The adaptive movement has grown so much in only a year and more and more competitive contests have been featuring adaptive events." Something else you may not know about Cindy is that she is in school full-time in California and playing for their basketball team, while travelling to Toronto to train with Team Canada and home to Quebec for family time - that's a pretty busy schedule if you ask us! "My day is like any other high level athlete, training about twice a day + mobility session and taking my supplements (Raw, Rescue, X-Cite) in order to get ready for the 2016 Rio Paralympic Games in September. I’m pursuing my PhD at the University of Southern California in Biomedical Engineering, so fuelling and planning my day right is really important!" Some words of Wisdom from Cindy? "Don’t let anyone tell you something is impossible, your desire and determination will lead your dreams to become memories :)"
Welcome to the team! After the CrossFit Open, Cindy will be travelling back and forth between Toronto and Quebec before competing in the Toronto Cup from March 28th - April 2nd. 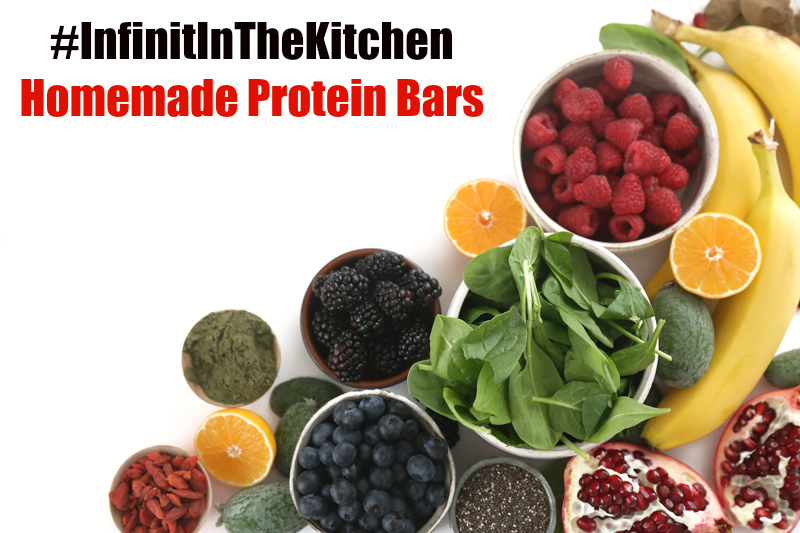 Looking for a tasty but protein packed treat or mid-day snack? Try out one of my all-time favourite homemade protein bar recipes - it's my mom's own concoction! Mix together first 6 ingredients. Stir in almond or peanut butter. Add vanilla and melted coconut oil, stir until well mixed. Press into greased, parchment line 9" x 9" pan. Refrigerate until set then spread melted chocolate on top. Cool until set (about 10 minutes in fridge) then cut into squares. #InfinitTip: If you allow the chocolate to fully harden it will crack when you cut the bars - just allow to partially solidify before cutting, then pop back in the fridge! #InfinitTip: Keep them refrigerated! The coconut oil will melt at room temperature and affect the consistency of the bars.